Let’s face it – cleaning wood floors is relatively easy nowadays. A lot of that has to do with all the new products, wood waxes and pastes that make everything easier for cleaning. If your floor has beveled edges, all you need to do is to vacuum it entirely (in order to remove the dust from between the boards) and then start polishing it. The best way to keep your wood floors looking and performing well for generations, you need to invest in a solid wood wax paste and apply it to your floor every once and then. You should never use vinyl or tile cleaning products on wood floors – and self-polishing waxes can only cause your wood floor to become slippery and appear dull in a quick time. Speaking of polishing, we are reviewing the best wood care products and pastes for floor care below. Now let’s get into the very precise details of wooden floor care and maintenance products. 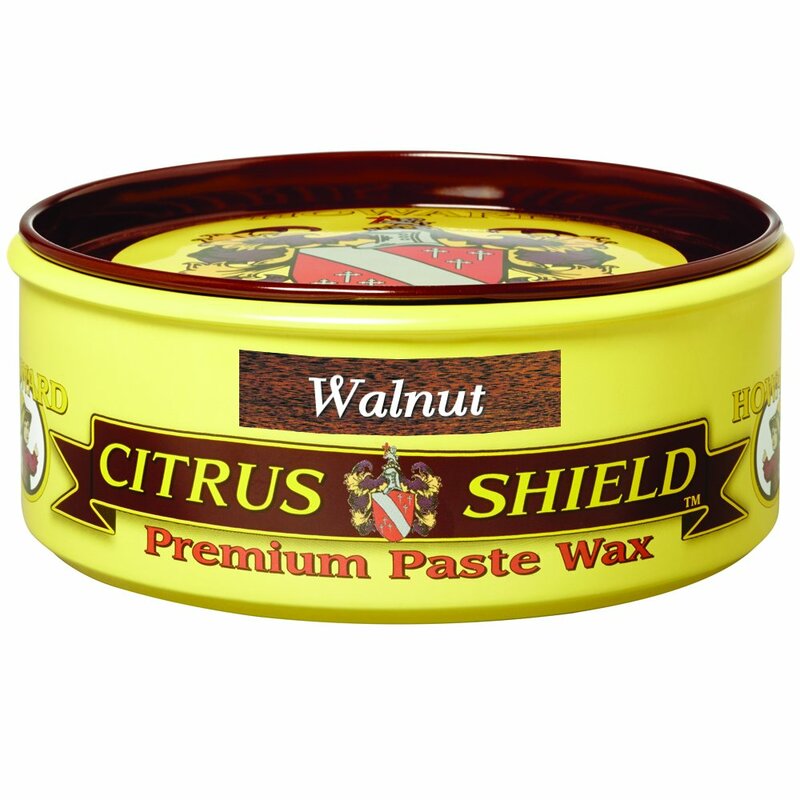 This is one of the most popular wood paste wax products on the market – and one that features a hard finish based on a buffable wax formula. The end result from using this paste is a rich and satiny luster and a lasting beauty on your wood floor. Aside from this, this is one of the best wood care products because it helps protect metal, sealed leather, plastic, sealed cork as well as vinyl. That makes it universal and waterless, picking up old wax and preventing any buildup. All in all, it is a product that is amazing in many ways. From its various uses to its great performance for the details, many people recommend it for wood floors and surfaces. 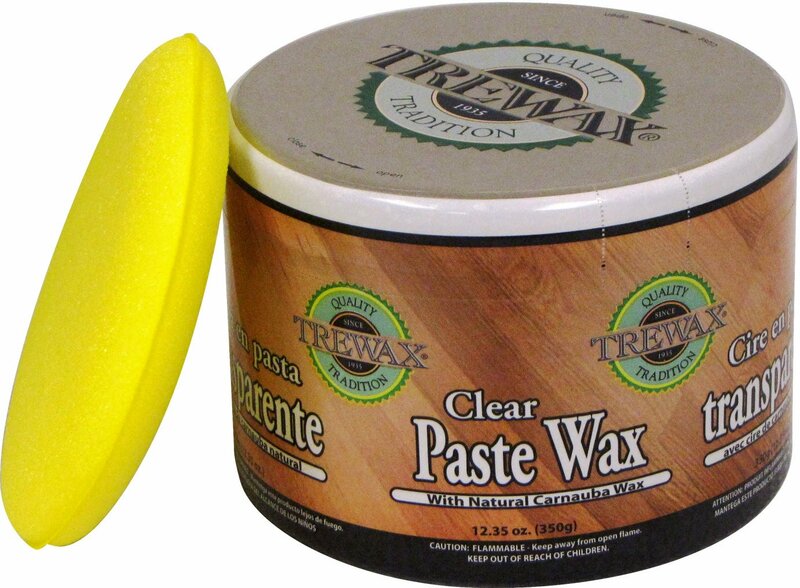 The Trewax paste is one of the best wood care products on the market. It restores the original brilliance to several finishes while ensuring the luster and long wear. It is perfect for hardwood floors, fine furniture, granite, marble as well as bronze, covering approximately 800 square feet. 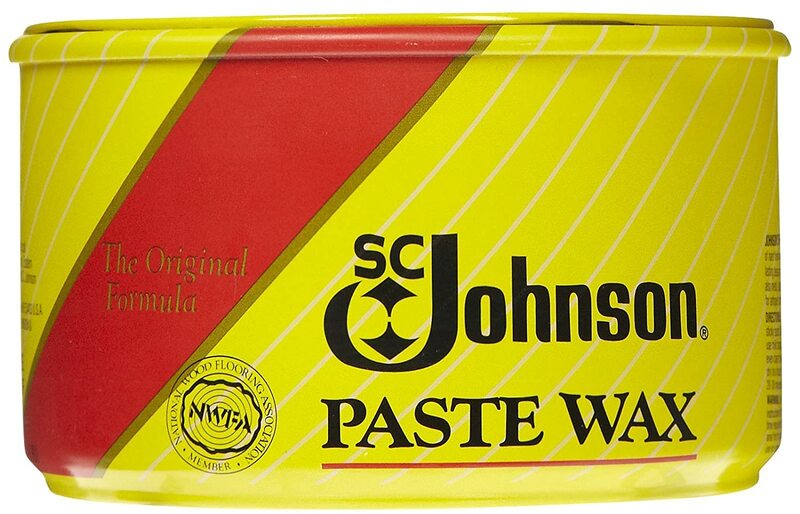 This paste wax also dries quickly and is non-slippery. 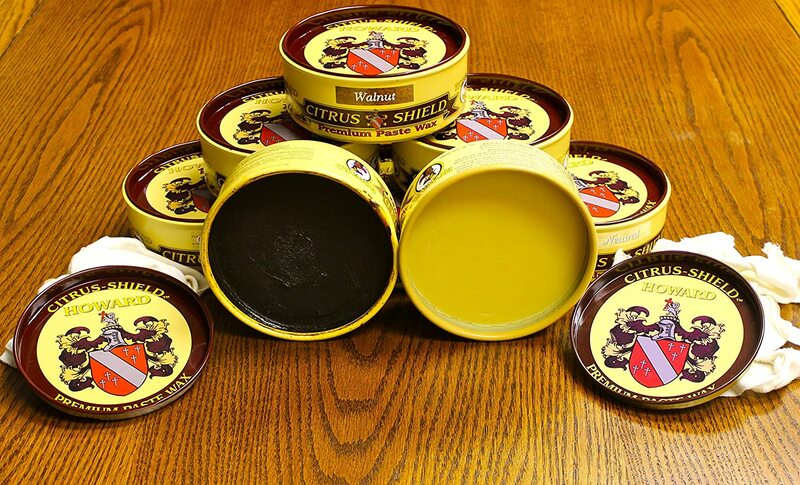 It is made from a Brazilian carnauba wax which is one of the hardest waxes in the world. That makes it applicable for fine furniture, worn wood, marble, sealed wood, unsealed wood, cork, bamboo, cabinets and more items. The clean finish, long lasting effects and non-slip protection all help when it comes to convenience and ease of cleaning with this product. What makes this paste one of the best wood care products for your needs is the color palette. Speaking of which, the Howard wood wax paste comes in six different colors including Walnut, Dark Oak, Golden Oak, Mahogany and Neutral – suiting all types of floor finishes and furniture types. You can use it as a final finish, reconditioner, furniture wax or floor wax. In many ways, it brings back the color and easily buffs to a brilliant and long-lasting shine. 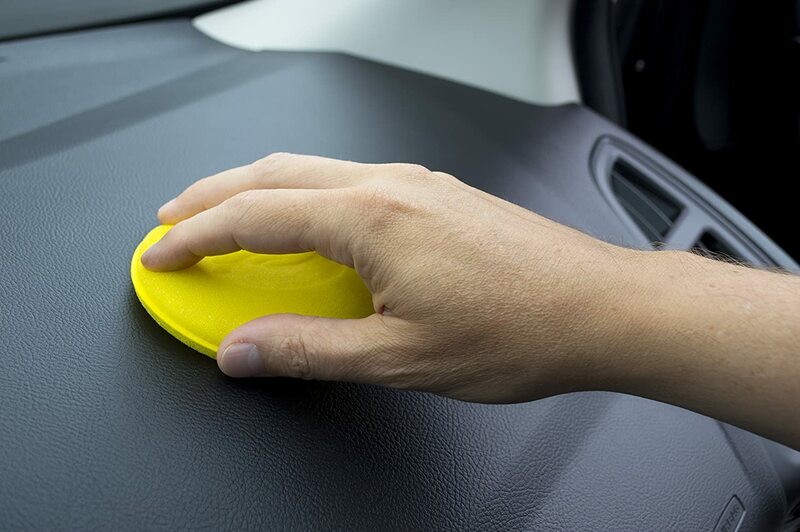 The carnauba wax barrier repels water and is toluene free. The smell is also great and customers all around the world love this product for many reasons. The HF Staples paste wax is perfect for paneling, flooring and furniture. It is also great for rich and lustrous finishes and comes with premium Carnauba protection. That way, it protects anything from floors to furniture and even woodwork. 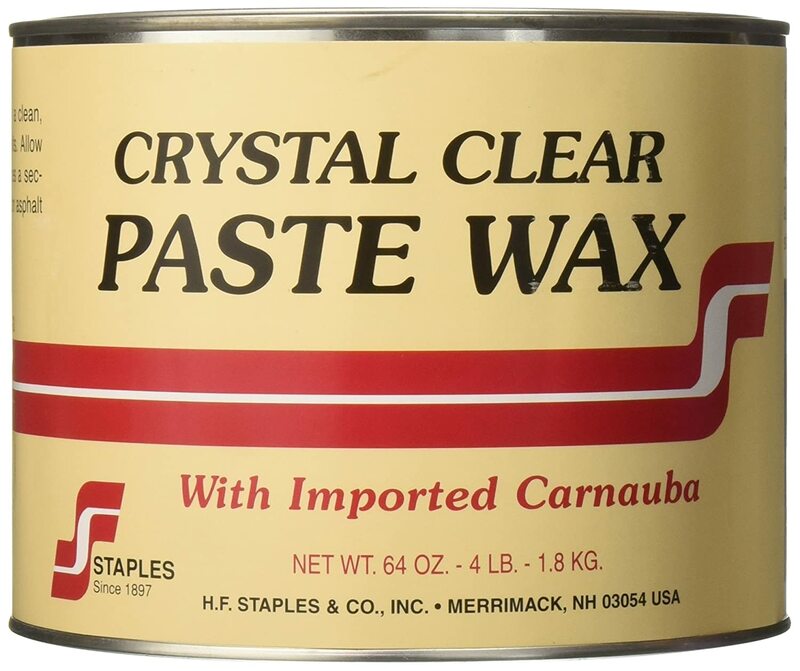 What you should also know about this paste wax is the fact that it is designed from expensive Carnauba which is the hardest natural wax known to mankind. That said, this product doesn’t take any shortcuts and comes as a mix of everything that is great about wood floor care. Available in three colors, it perfectly enhances the patina of any wood shade. You can choose Crystal Clear for light finishes, Antique Orange for natural oak finishes and Dark Brown for darker woods. 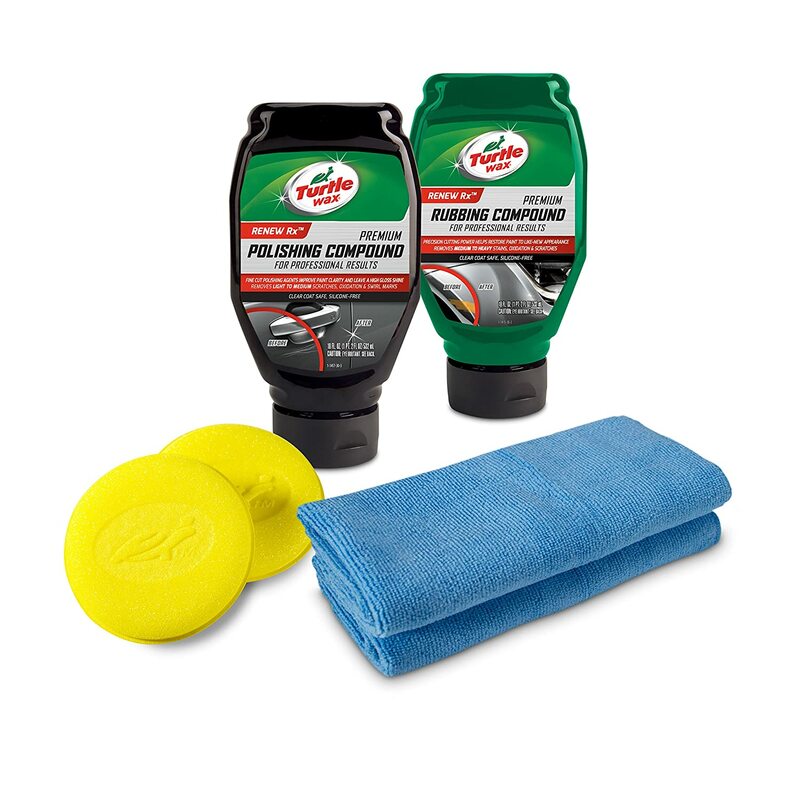 Last on our list of the best wood care products is the Turtle Wax paste which comes with a sponge and a microfiber cloth. In fact, there is a 6-piece kit that helps you polish and rub your floors. There are 2 solutions for removing light to heavy scratches and imperfections – and the agents are mainly formulated with fine cut ingredients and professional grade lubricating oil. That said, this product is among the best when it comes to precision cutting power that will restore your wooden floor’s (and furniture) paint to like-new. As with many other products, wood requires a certain amount of maintenance. However, the most significant element of this maintenance is not the vacuuming or mopping – but the polishing for your wooden floor. With the proper polishing, your engineered wood floor will retain its beauty for many years to come. While light floors are typically more sensitive to wear-and-tear rather than dark ones which is why they require more frequent cleaning, maintenance and polishing. We hope that the list above helped you find the perfect wood care product for your needs!